Blurb Description: Black Swan meets Pretty Little Liars in this soapy, drama-packed novel featuring diverse characters who will do anything to be the prima at their elite ballet school. They say that you see who people really are at the worst of times. They say that you find out who your real friends are when you’re at the lowest of the low. So, what if you’re there; what if you’re drowning, but there’s nobody to save you? Tiny Pretty Things is a BEAUTIFULLY written, intense novel into the minds of three girls in a cutthroat ballet setting that will haunt you long after you’ve put it down. Bette Abney has been the star all her life. When she was five, her mother moved her into the American Ballet Conservatory and she’s stayed ever since. All she wants is to ‘luminous’ like her sister Adele, land the roll of the Sugar Plum Fairy that was rightfully hers and remain the ballet IT couple with her boyfriend, Alec. June is and has always been second best; the understudy, always. Being Korean-American, she can’t help but agree to her mother’s deal – get an actual role in a ballet within the year and she can stay on, or her ballet aspirations will be as extinct as dinosaurs. Giselle Stewart is the new girl. One of the only dark skinned girls in a sea of white, Giselle isn’t like the other conservatory girls, and she was nowhere near prepared for the pure, unfiltered competition and animosity between the girls she spends her whole life with. After she gets cast in the lead role, displacing all the other hopefuls, it’s all she can do not to crack under the pressure. 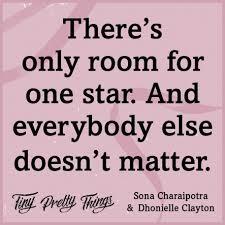 I honestly first heard about this book when my friend Rhea D’Souza recommended it to me, and I bought the Kindle version, but never got around to read it. (YOU KNOW HOW IT GOES, RIGHT?) And then this beautiful book showed up on the Harper Collins catalogue, and I IMMEDIATELY asked for a review copy, and the awesome folks over at HC India obliged. Apart from the triple perspectives of Bette, June and Gigi, there are SO MANY other WONDERFULLY COMPLICATED and FLAWED characters at the American Ballet Conservatory like Will, Eleanor, Cassie, Henri, Alec, Mr.K, Sei-Jin and others that the protagonists make you fall in love with, envy and hate at the same time. Truth be told, I simply didn’t expect it to be THIS GREAT, and I didn’t expect myself to have fallen SO IN LOVE with this world and these characters. There’s something so utterly raw about the authors’ writing that I felt like I KNEW these three girls better than I even myself knew. Their deepest fears, their shortcomings, their jealousy, their happy moments and the silly things they believed in WERE ALL SO WELL DONE. 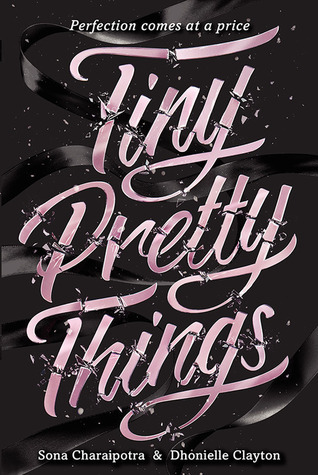 Intense, nerve-racking and BEAUTIFUL, Tiny Pretty Things is a true masterpiece, that far surpasses any other ballet book out there. SOMEONE GIVE ME THE SEQUEL. What is the best ballet book or movie you've read or watched? Do you like ballet? 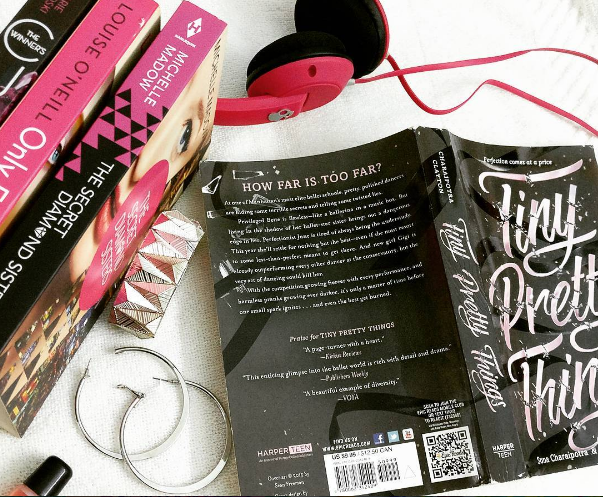 Have you read Tiny Pretty Things? I would definitely recommend it, even if you aren't a ballet fan, because it is BEAUTIFUL.